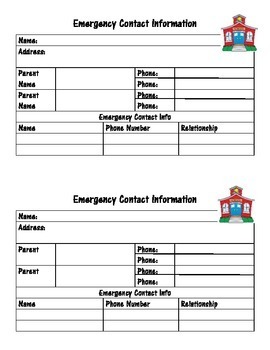 Emergency Contact Cards with spaces for parent and guardian information as well as two emergency contacts. Cards print 2 per page. I suggest using color card stock to print and hole punch for your teacher binder. Enjoy!